Arrival at Entebbe Airport where you will be welcomed by our representative and transferred to your accommodation in Kampala for overnight. 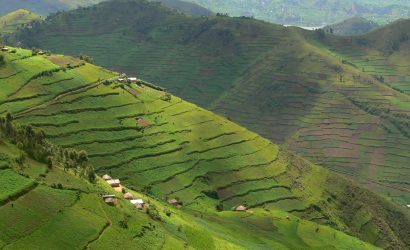 Today you will have a tour to some of the historical and cultural sights of Uganda in Kampala including the Uganda Museum, Nomo (National) Gallery, Baha’i Temple, Makerere University School of Public Health, Namugongo Martyrs Shrine, Owino Market, Kabaka’s Palace, National Theatre, Cathedrals and Gaddafi Mosque. Lunch is not included, but transport is provided to one of the many restaurants in Kampala. In the afternoon, enjoy guided shopping at various craft markets, at the National Theatre or African Village at Buganda Road if time permits. Go back to the hotel and freshen up for the night life experience in Kampala at a number of night spots like Guvnor Discotheque, Jazzville, Bugolobi for jazz lovers among others. This trip can be modified to fit your special areas of interest such as arts and crafts, culture, or nature viewing. 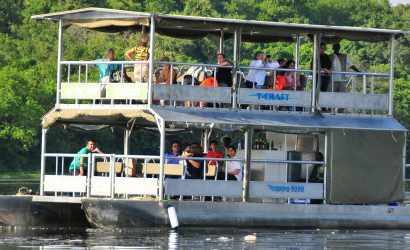 Today you will enjoy an excursion to Ngamba Island. Located on Lake Victoria, 23 Km southwest of Entebbe, Ngamba Island is home to orphaned Chimpanzees since a return to their natural habitat is not currently possible. Spend time watching the Chimpanzees as they play, interact with each other during one of their feeding sessions. 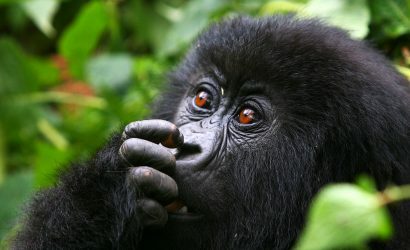 The thrill of knowing that by visiting them on Ngamba Island you are directly contributing to their well-being, overall conservation of the species and supporting the local community gives an additional meaning to your safari. Depart your accommodation in time for the ferry at Nakiwogo, travel by ferry to Bugala Islands. These islands are well known for their Caribbean like feel and they will offer you the sight of splendid white sand beaches and sky blue waters. The Island residents include Vervet and Colobus monkeys, a variety of bird species and scores of butterflies. After breakfast you will set out on a forest walk through the Island’s un-spoilt forests and have a chance to take some photos in the verdant forests. 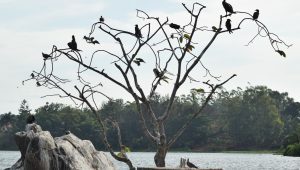 You will view a variety of wildlife that dwells in the forest and among them are monkeys, butterflies and birds among others. Return to the hotel for lunch and in the afternoon you could opt to be at leisure by the Lake, fish or swim if at all interested. You will enjoy a boat ride on Africa’s largest lake; Lake Victoria and have the opportunity to visit the neighboring local fishing villages to observe and experience their way of life, check out their fishing methods in addition to seeing the variety of fishes they catch. Have lunch and enjoy the afternoon at leisure on the white sandy beaches. After breakfast, transfer by boat to Entebbe at 8.00 o’clock where you will be met by one of our company guides who will drive you to Entebbe International airport to catch or departure flight.